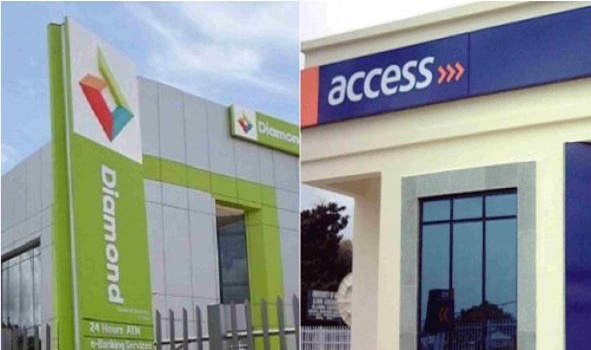 Access Bank reveals post-merger plans – Amaechi Okobi, Group Head, Corporate Communications at Access Bank Plc, speaks on the bank and Diamond Bank’s merger plans, and the creation of a new brand identity. What inspired the new brand visual? The visual identity was inspired by the concept of fusion. Fusion is described as an occasion when two or more things join or are combined; the technique of joining atoms in a reaction that produces energy. For example, the powerful combination of Access Bank and Diamond Bank has the energy and the ambition to revolutionize banking in Africa and, in doing so, ensure our continent takes its rightful place on the world stage. How did you go about imagining a brand that would speak to both your old and new consumers’? Our new brand fuses the Access Bank and Diamond Bank brands – bringing together the best of both banks. Bringing them together to capture the strength created through the merger meant drawing from the essence of each logo but refreshing them to create a sense of energy and forward momentum. The diamond shape is fused into the three chevrons, which radiate in all directions to create layers around a core. 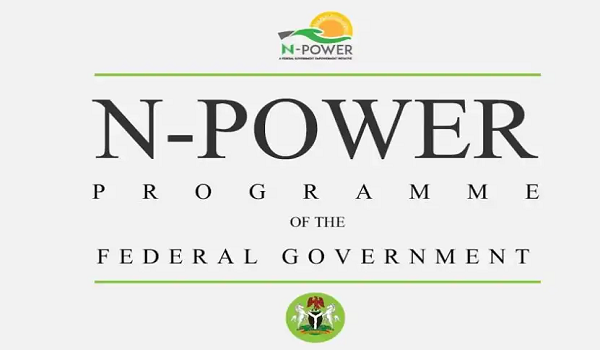 The logo symbolizes the energy of more, our new brand promise. Our brand promise –access. more than banking – is identified by the forward direction of a single diagonal orange line – strong, purposeful, simple. Radiating from the center in all directions, it expresses our ability to move with agility. Always forward, with purpose. Our colors signify our focus on being the most trusted corporate specialist, while also capturing the vibrancy and resourcefulness of our digital and retail expertise. What were the challenges in merging two distinct banks that have different cultures, to act and move as one? From a business perspective, the combination of the two banks had clear benefits. Those similarities also exist in our cultures. 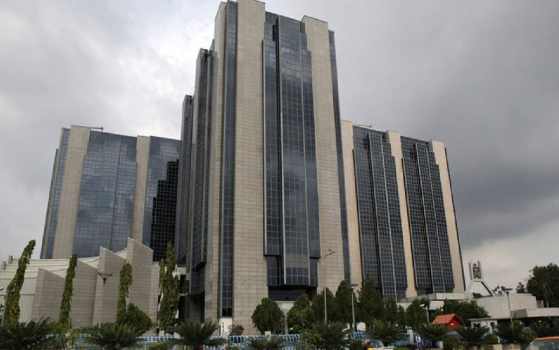 When both institutions were started, both set out to change the face of banking in Nigeria. Our goal has always been to lift Africa through sustainable banking, showing individuals and businesses across the continent that ethical business is good business. Achieving that goal requires strength, determination, collaborative leadership and, most importantly, we need to embrace change. In developing our integration plans we have been careful to draw on the best of both banks, and learn from each other, particularly in how we deliver excellent service to our clients and customers. We have been working alongside world-renowned experts to develop a program that consolidates the high-performance culture across the combined bank, and we will continue to work to ensure that everything we do is customer-led, recognizing that different clients have different needs. What were the initial thoughts of staff at the announcement, and how have their thoughts evolved? From the beginning, we worked hard to show the benefits of the merger and get everyone involved. Together, we are stronger and can offer more opportunities for our colleagues, more products and services for our customers, and more benefits for all our stakeholders. That resonated very well with all our teams. We made sure everyone was up-to-date every step of the way with newsletters, podcasts, videos and town halls that served to answer questions and unite staff around the cause. From the beginning, everyone understood the relevance of our proposal and how it would pay off. This merger has created Africa’s largest bank by customer base. Often, with size comes challenges – how has the bank prepared for the market, and to grow alongside Africa’s growing populace? The new Access Bank is one of Nigeria’s leading institutions, with 29 million clients, including more than 13 million mobile customers, as well as more than 600 branches, approximately 3,000 ATMs and around 32,000 PoS terminals. That’s a true Pan-African champion with an innovative digital retail operation, strong international reach, and deep corporate banking expertise. Technology is a critical factor in the ability to deliver excellent service at scale, which is why digital innovation and advanced data analytics are one of the pillars of our strategy, alongside world-class standards of compliance and risk management. We understand our clients and the markets in which we operate very well. That has translated to incredible customer satisfaction and exponential growth over the years. Access Bank also has several key areas of focus to help Nigeria and the continent grow, including women, youth, entrepreneurs and the financially excluded, as well as supporting major corporates to transact business across the continent and across the world. We will further develop our position and market leadership in these growth sectors. What new product offerings should your customers expect? In addition to enhancing our financial and technical capabilities, this merger created a true customer champion. Both Access Bank and Diamond Bank had an unrelenting commitment to clients, and this did not change. We’re looking at expanding offers, such as XclusivePlus, DiamondXtra and Pay Day loans, and, of course, for our customers, now everyone has access to more, as every clientof the combined bank can access products and services previously only available to either Access or Diamond. For now, product offerings and benefits remain the same. What does change is service, which we will continue to improve. We have taken measures to make customers’ lives easier, like the integration of ATMs. With their comfort in mind, account numbers stayed the same, as did theirrelationship managers and all benefits they have. What has been the feedback from customers and other stakeholders, such as investors? How have they embraced the changes? The feedback has been positive all around. We’ve heard a lot of praise from all our stakeholders, and our customers realize that they’re at the center of our business. Similarly to the communications work we led with employees, we also made it a point to take customers, shareholders and the wider public on this journey with us. We conducted surveys around the country and listened to what our clients had to say when developing the new Access brand, for example. Their input was invaluable in designing something that resonates as much as the Access and the Diamond brands did individually. With investors it wasn’t different. We have the usual regulatory obligations, but we’re in constant contact with them and seek to address their questions as often and as quickly as possible. The merger accelerated our plan to support retail growth, previously set out in Access’ five-year strategy, and we laid out the opportunities for the future. Theyhave supported the rationale, as you could see from the overwhelming approval at the shareholder meetings. Access Bank has gradually perfected the ‘art’ of mergers and acquisitions (M&A). Should we be expecting more? We have a strong track record of M&A in Nigerian banking and have previously demonstrated our integration capabilities in the successful acquisition and subsequent absorption of six institutions in the past 15 years. We are constantly looking for opportunities to generate even more value to all our stakeholders. But for now, we have a very clear strategy for growth; this merger has significantly accelerated the achievement of the five-year plan we set out for 2018 – 2022. There is a fear that a reduction of staff, comes with mergers, is there a plan in place for all staff of both banks? We have already agreed with every person in the bank their roles and responsibilities within the enlarged organization. No one need worry that there will not be a role for them. As I mentioned, we’ve developed a program to consolidate a high-performance culture across the bank and we will seek to embed more speed, more service and more security into the products and services we offer clients. With care, appreciation, leadership and performance, we will make sure that comes through at every point of contact for every stakeholder. We understand that Access has vested interest in ‘rebranding’ Africa, why? And how’re you going about this? Our continent is beautiful, multi-ethnic and strong. We are culturally and resource-rich. We are entrepreneurial and unafraid. We have many things to be proud of and we want the rest of the world to see that as we do. To give you just two examples, our recent BAFEST – the Born in Africa Festival – showcased the best of African creativity across arts, design, music and film, whilst our partnership with Vibez brings African music to the world through a fantastic new app. We have always engaged in ethical and sustainable banking that made business sense. We think beyond profit and aim to lead by example to create the change we want to see. Now, with a bigger, better and stronger Access we can help more Africans grow, and move up the social ladder. Our success will be tied to the success of our 29 million and growing number of customers. How will the new Access Bank impact Nigerians and Africans as a whole? The merger created a leading tier-1 bank and the largest financial institution in Africa by number of customers. We now operate in three continents, 12 countries and cater to 29 million clients.We are committed to become Africa’s most respected bank and the continent’s gateway to the world. Our success is tied to our customers and our people’s success. Those are big shoes to fill, butwe are aware that with big dreams come big challenges and big responsibilities. And we will deliver. What should we be expecting from Access Bank in the immediate future? Our logo has evolved to demonstrate,through our new brand,that we’ve brought together the best of Access Bank and of Diamond Bank to form a bigger, better and stronger institution. In the immediate future, all our stakeholders should expect to access more than banking. That’s what we promise.